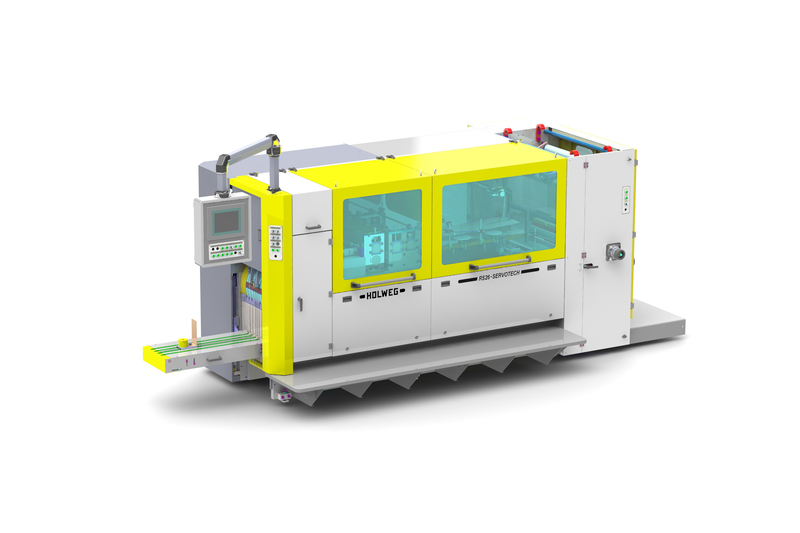 The 5XF Servotech is an innovative line for manufacturing square bottom bags of variable sizes. The machine is equipped with a new handles device and a new drum with an innovative bottom sealing system allowing quickly size changeovers and high speed production. The machine line includes a new quality control system (100 %) for the handles and the bottom of bags with final boxing. It produces up to 400 bags/min. The machines are available in mechanical or fully electronic versions with Servomotors. Information will also be available on the company’s complementary equipment: flexographic printers up to 8 colors, waxing devices, die-cut windows and systems for closing bags.